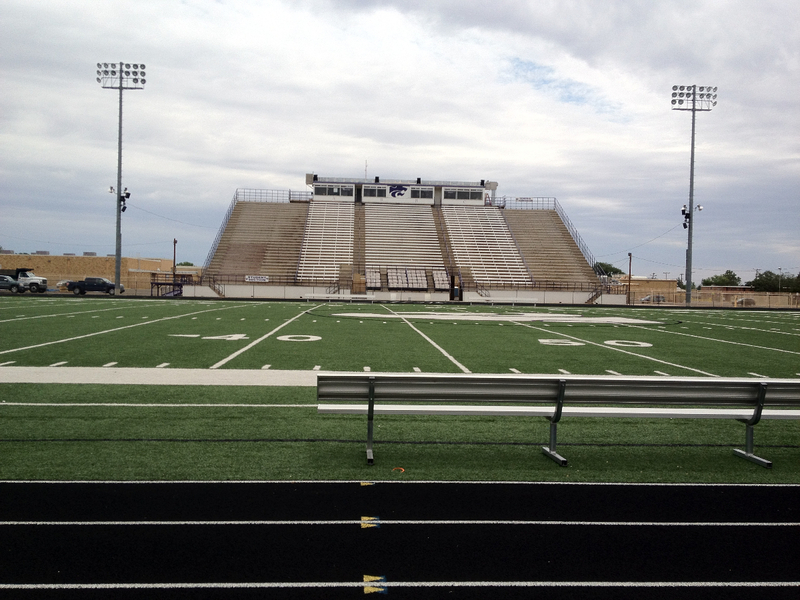 BOSTON, September 24, 2012 – A Clovis, New Mexico high school is bringing more energy to its 1,500-seat outdoor campus stadium on Friday nights with a new Technomad Turnkey PA system. The Technomad system provides an all-in-one audio solution to enhance quality and coverage for all home football games, including pre-show and halftime music. The school needed a system that would produce clear and even sound across the stadium, including visitor and home stands. The Turnkey PA system comprises four Technomad Berlin weatherproof loudspeakers, a pre-wired amplifier, a dynamic hard-wired microphone, and a six-channel mixer with front-panel iPod/mp3 inputs. The solution included all necessary cables and connectors to facilitate a quick and simple installation just in time for the 2012 football season. The new setup replaced outdated loudspeakers damaged by time and weather. Technomad loudspeakers feature IP56-rated weatherproof designs immune to weather-related elements, allowing them to remain outdoors all year — a huge plus for Natalie Roseberry, partner and technician at Wes-Tex Audio Electronics. The entire setup was flawless and took only two days, according to Roseberry. She and her team installed Technomad yoke mounts on top of the home side of the press box, and installed the amplifier and mixer in an existing equipment rack mounted in the press box. She later fastened the four Berlin loudspeakers onto the yoke mounts, facing them outward toward the field and visiting bleachers to maximize coverage. Roseberry followed with a series of tests that included voice intelligibility and high-volume musical reproduction. According to Roseberry, the Berlin’s unmatched combination of high volume output, broad dispersion and remarkable fidelity made it the obvious choice for the stadium’s large spectator capacity. Roseberry experimented further, connecting her iPhone to the Technomad system via its auxiliary port — adding that nearby maintenance staff commented on how well the system sounded.